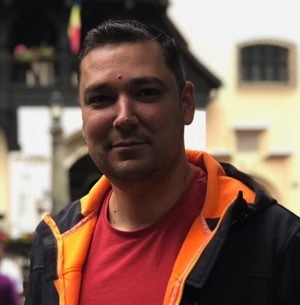 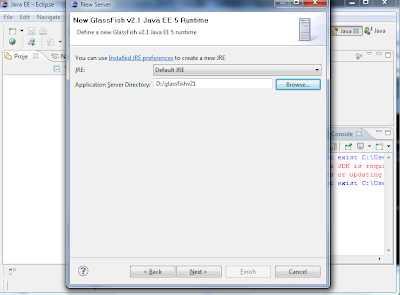 Today I will show you how to create Enterprise Application using Java EE 5 and GlassFish. 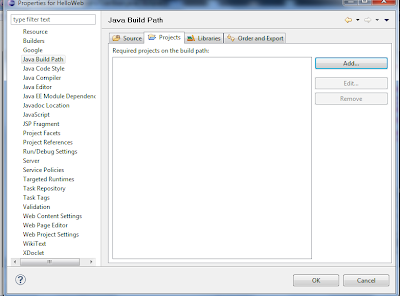 - JPA Toplink essentials implementation. 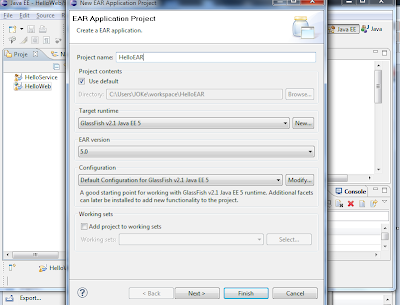 1) First you need to add glassfish in your eclipse. 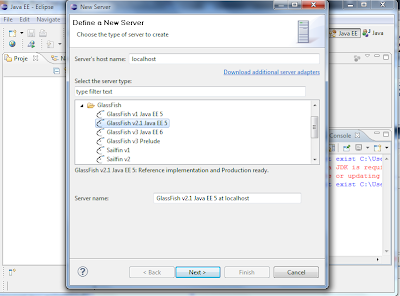 - Choose GlassFish v 2.1 if you dont have glassfish click on Download additional adapters link choose glassfish wait and restart eclipse. 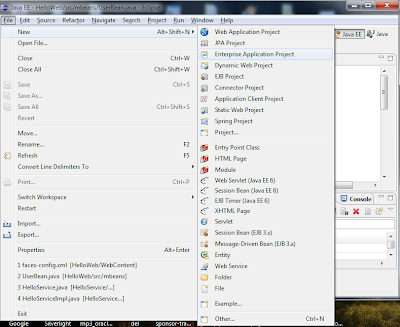 Than try again. 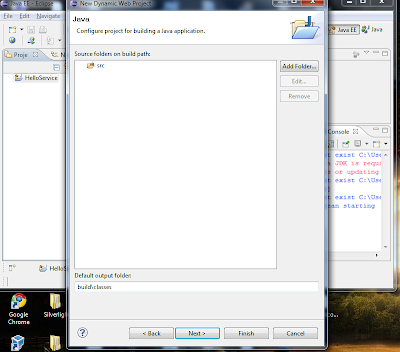 9) I will use a very simple login form (login.jsp) and home.jsp where you will go if login is successfull. 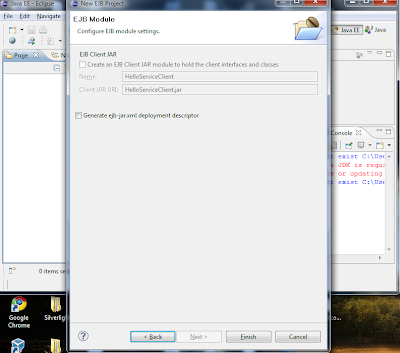 10) You can notice that I use HelloService and User model class in the Dynamic web project. 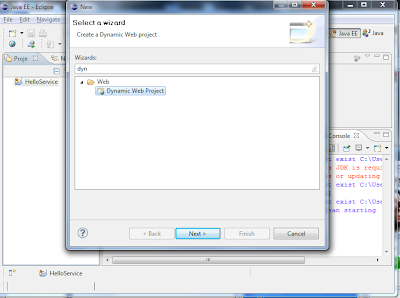 To do this you have to add the service project as referenced by the web project. 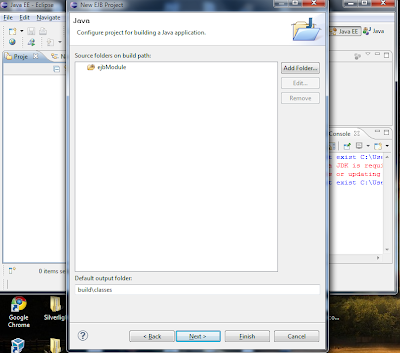 -Now check the UserBean it should not contain any errors. 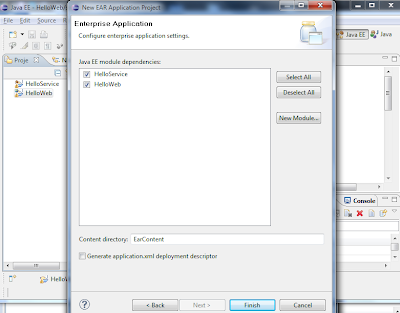 12) Right click on the Enterprise Application and choose Run on server. 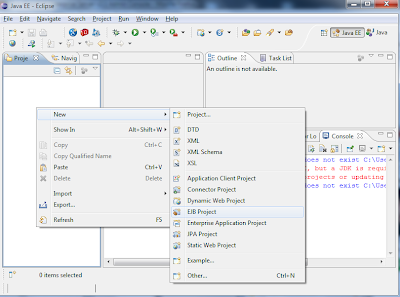 Note that we did not include any third party jar files in this projects. 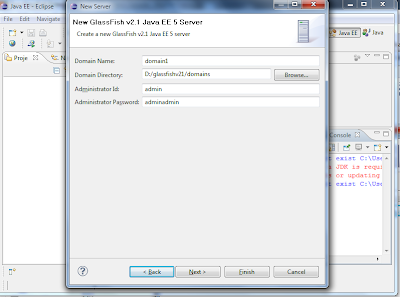 This is because GlassFish include JSF 1.2 Mojarra implementation and Toplink JPA implementation. 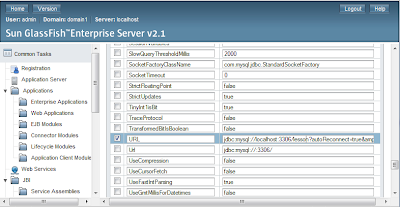 I will show you how to create a DataSource in GlassFish version 2.1 because there were a lot of properties and I had a lot of problems when I've try to register datasource in glassfish for the first time. 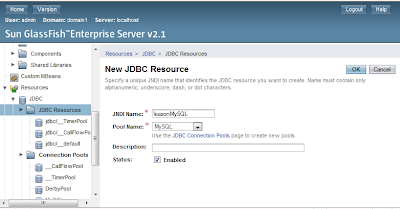 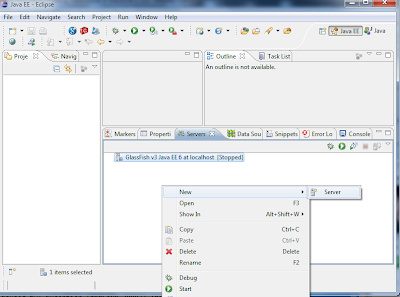 1) You have to download JDBC driver for your database. 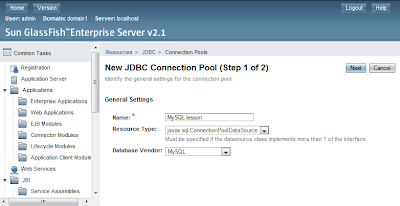 For example I will use MySQL and I will use Connector/J driver that you can download from mysql official web site. 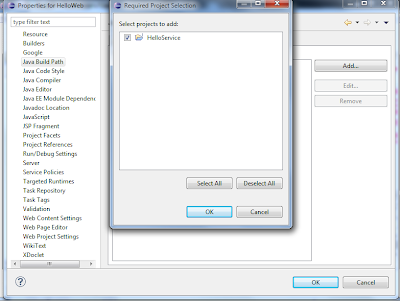 -On the Next step scroll down you will see a list of properties. 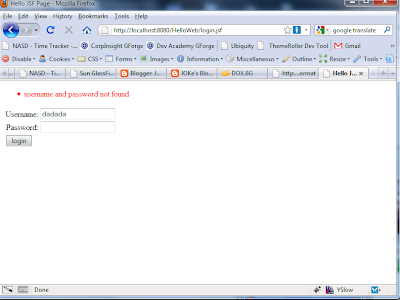 The important for you (you must select this checkboxes) are: 'user','password','url'. 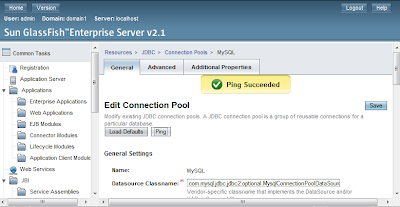 If some of this is missing for example there is no 'url' if the vendor is Oracle you can add it using the Add property button. You are now ready to create your DataSource that will use this connection pool. 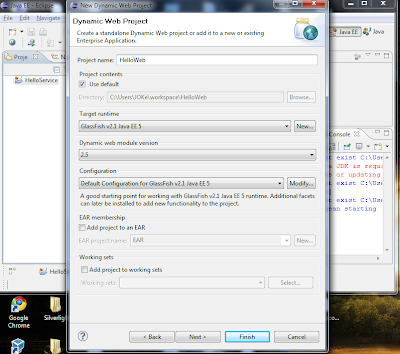 - Choose PoolName to be the pool that you have just created. 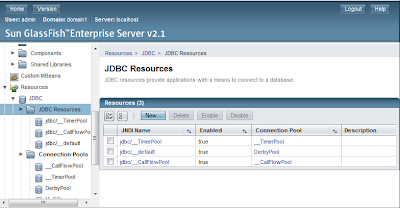 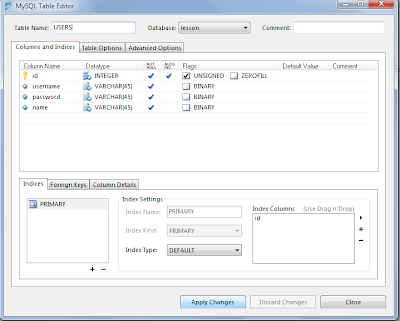 Now we have DataSource that we can use from any Enterprise/Web Application. 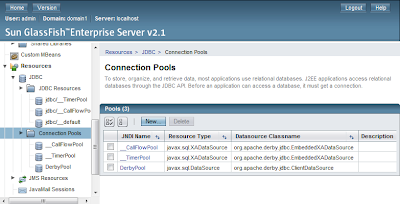 In the next lesson I will create Java EE 5 application using JPA, EJB, JSF using eclipse and this app will use this datasource. 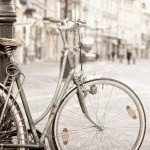 I believe the above is enough, isn't it ? 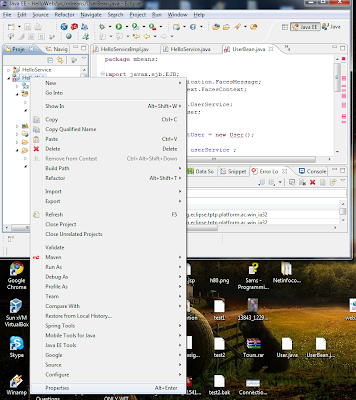 Anyway if you one of this... well... non developers ? or HRs or recruiters or something in between ... you can check even my CV here.